Do you have the opportunity to do what you do best every day? If someone asked me this question seven years ago, I would have said “absolutely not.” Let me paint a picture. While I am generally a friendly, outgoing person, I am an introvert at heart. I have my master’s degree in library and information science, and I thrive in the quiet, peaceful world of books, research and data. However, while working on this degree, I was a poor graduate student and needed a job. Since I was a resident assistant for three years in college, I followed an opportunity that ultimately led to a position to serve as the director of housing and residence life for a small, private college in Northwest Indiana — at the young, inexperienced age of 22. I was extremely fortunate to learn a lot of new skills and grow as a professional during my five years in this position. I enjoyed working with the staff, faculty and students to find new ways to improve the residence hall system, but found myself coming home at the end of the day completely drained and frustrated. I couldn’t understand why I felt like a round peg in a square hole until I had the opportunity to take the Clifton StrengthsFinder assessment and learned how important it was to focus on my strengths. Suddenly, I realized why I wasn’t feeling fulfilled in my job. I was spending so much time trying to fix my weaknesses that I wasn’t really focusing on what I did best. Soon after taking the assessment, I completed a certification through the Gallup organization to become a Strengths Educator. Since then, I have been working to help individuals leverage their strengths in the workplace. What makes StrengthsFinder different? Most people are familiar with at least one popular self-development tool, such as Myers-Briggs or DiSC. Both assessments are valuable and meant to solve a problem. Myers-Briggs focuses on 16 personality types that measure the psychological preferences of the way a person sees the world and makes decisions. DiSC is designed to measure behavior and highlight how people handle situations where interpersonal relationships are involved. What makes StrengthsFinder different from Myers-Briggs and DiSC is that instead of focusing on your personal preferences or behavior, the assessment identifies your themes of talent. It considers what you like to do, how you work most effectively and what you do best. After 40 years of studying human strengths and conducting over two million interviews, Gallup identified 34 themes of talent that were most common among individuals. The StrengthsFinder assessment contains 177 pairs of statements with descriptors. You are asked to choose, on a sliding scale, the extent to which one of the two descriptors fits you. Through your responses to the questions, the assessment identifies your most dominant themes of talent.1 Think of it like this: Imagine you have empty buckets that represent the 34 different themes. Each time you answer a question that matches a theme, a drop of water goes into that bucket. When you get your results, you are seeing the five buckets with the most water — your five most dominant strengths. Remember, StrengthsFinder is based on talent — a natural way of thinking, feeling or behaving. As you invest time and energy into these talents, they will become your dominant strengths. Often, strengths may change when a person switches jobs and/or takes on different work responsibilities because they may be investing time into some of their other talents. Strengths that previously ranked in the six through 10 range might become strong enough to move into the one through five positions, giving you a new top five strength list. One of the most common questions I get as a Strengths Educator is, “Why don’t you receive the results for all 34 of your themes?” According to Gallup, the results provide you with only your top five themes so you can discover and focus on your most dominant talents. This concept aligns with the message that if you focus on what you do well, you will have the most success. When I received my certification as a Strengths Educator, I received my 34 strengths in order, and the only benefit it has brought to me is that it makes a funny joke in presentations when I tell people that my 34th strength is the Communication theme. However, once you do become very comfortable with your top five strengths, Gallup has provided a way for you to access all 34 of your themes.2 Don’t say that I didn’t warn you ― it’s tough not to focus on the last few talents. Here are all of the 34 themes/strengths. Again, you will have all 34 of these strengths in some kind of order, but will only get your top five results. Another common question I get asked is, “Do people in the same industry share many of the same strengths?” What I like about StrengthsFinder is that you can have any group of strengths and be successful in any job. There is no secret combination of strengths that makes a person suitable for a specific profession; it’s all about how you use your specific talents in a position. While workers in certain industries may share similar strengths, it’s not necessarily because those strengths are more ideal for the profession. Think back to the equation: talent x investment = strength. A group of librarians will most likely share common strengths because they will have similar talents in which they have invested time; thus they will have similar strengths. I like to work hard and enjoy work that is challenging (Achiever). I am very concentrated on my goals and strive to accomplish them in the most efficient way (Focus). I am a very structured person who thrives when I have a plan and a schedule (Discipline). I am sometimes quiet in meetings or conversations because I’m trying to think through all the perspectives of a certain situation and need time to absorb information (Intellection). I enjoy reading and have a great desire to learn so I can contribute additional knowledge to a project (Learner). When you take the StrengthsFinder assessment, you will be provided with descriptions for each of your top five strength themes, and, usually, people find these descriptions to be very accurate. In “StrengthsFinder 2.0,” the second half of the book provides descriptions for all 34 themes, gives ideas for action and highlights how to work with others who have a particular strength. The key is for you to understand how your strengths are exhibited in your everyday life. If you have taken the assessment, I encourage you to share the results with your family and friends. Sometimes, other people are able to see examples of our strengths better than we can. After all, we can be our own worst critics. We don’t always choose to see our strengths, so rely on your coworkers and those individuals around you to help highlight when they see your strengths in action. Now, a strengths-based approach doesn’t mean a person magically becomes perfect in their job. Another aspect of StrengthsFinder I like to cover in presentations is the idea of “Balconies and Basements,” also known as shadows and/or barrier labels. These labels are the negative perceptions people may have of individuals ― very similar to stereotypes. For instance, as someone with the Achiever strength, I have the passion and drive to work hard and get things done. I am in my balcony when I’m using my Achiever strength as a unique talent to positively contribute to the workplace. On the flip side, I have been known, at times, to be too concentrated on my work or overcommit myself. Others may view me as a workaholic. When people think of me this way, it is an example of the “shadow” or basement of strengths. People may be misinterpreting or not understanding my strength. Have you ever had a conversation with a person and thought to yourself, “I literally do not understand where this person is coming from?” You are not alone. Strengths are sometimes hard to identify, especially if you don’t know the person very well. Additionally, stress can make it easier to fall into a basement of a strength, because we aren’t able to give our full energy to our talents. Try to have an honest awareness of how others may be viewing your strengths. Use your strengths to describe how you work best and find opportunities to build relationships with your coworkers. StrengthsFinder is not a weakness finder in disguise. While there is a list of the balconies and basements for each strength3, remember: There are no “bad” strengths. Just because the Command strength may have a basement of “Dominating” and “Rude” does NOT mean that those terms necessarily describe you. The balconies and basements are simply tools to highlight the perception someone may have of your strength, or the shadow side of when you are not using your strength in a positive light. We all get stressed and fall into the basements of our strengths sometimes, and that’s OK. Learn to have an awareness of when you are operating in your basement and challenge yourself to remember how to use your strengths in a positive manner. There are multiple assessments that can help you understand yourself and others better. Find the best fit for your needs. Focus on what you do well and identify what specific strengths you can contribute to your team. Remember to consider how others may be viewing your work behaviors, and have open communication about your preferences and needs. According to the Gallup organization, “People who use their strengths every day are six times more likely to be engaged at work, 8 percent more productive and 15 percent less likely to quit their jobs.”4 I encourage you to take the time to focus on what you do best and what makes you happy. Use what makes you unique to become the best version of yourself. 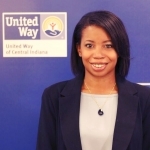 Stephanie Brouwer is currently serving as a research associate at United Way of Central Indiana. Stephanie has eight years of experience serving in the higher education industry in various positions, such as director of housing and residence life at Saint Joseph's College, a research analyst in the advancement office of Valparaiso University, and, most recently, a librarian at Harrison College. Stephanie is also a Gallup-certified Strengths Educator and leads informational sessions about how to use StrengthsFinder in the workplace. She currently serves as the vice president of the Apra Indiana chapter and is a past presenter at Apra’s annual conference.